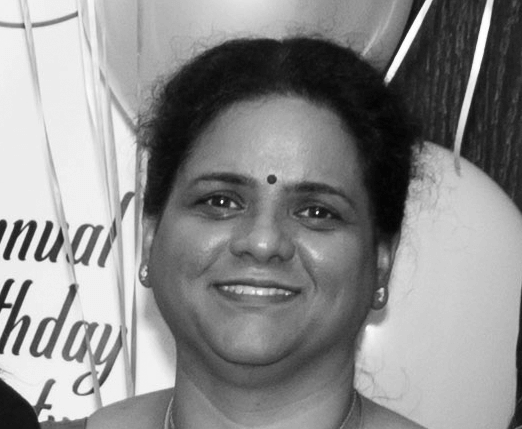 Born and raised in Chennai, India, Neeraja began her career working for The Hindu, one of India’s largest circulation, English-language daily newspapers, where she edited the weekly Science and Technology Section and produced the annual Survey of Indian Industry. Since moving to the USA in 1999, she has served in a variety of operating and finance roles, including Corporate Accounting Manager at ANXe Business and VP of Finance at NW Sign Industries. Neeraja holds BA and MS degrees in physics from SR College in Tamil Nadu, India and a certificate from the Wharton School of the University of Pennsylvania. She is an avid Eagles Football fan and loves making freshly cooked Indian food daily for her son and husband.